To support the launch of a community share offer to repay a start-up loan and gain new local shareholders. Everything invested by local people was matched by Power to Change. 57 local people are community shareholders and decide on the direction of the business. They all have the same voting rights. 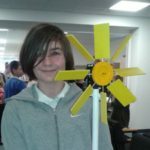 Through work experience and volunteering, local people are gaining specific skills needed for jobs in Grimsby’s thriving renewables industry. 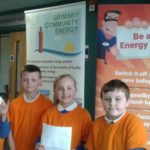 Grimsby Community Energy have helped reduce energy costs and CO2 emissions by promoting local generation and harnessing, managing and supporting the funding of community renewable energy projects. Grimsby is known for its fishing industry, and increasingly for its growing renewable energy industry. It produces 28% of its energy from renewable sources such as wind turbines and solar panels, including ones owned by the community. 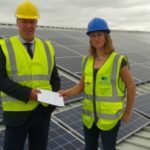 Founded in 2015, Grimsby Community Energy Ltd is a community-owned energy organisation that installs solar panels, raises awareness of the benefits that locally-owned community energy can bring to people’s lives. It also provides volunteering opportunities so local people can gain skills to enter the renewables sector. It’s located next to the unhealthiest high street in the UK, in a city that has been hit hard by isolation and deprivation. In 2016, Grimsby Community Energy launched a community share offer, with support from the Community Shares Booster programme. 50 people raised £45,975 by investing in community shares, which means each of them have an equal vote in the direction of the business. This amount was match funded by Power to Change, which allowed Grimsby Community Energy to reach their target of £78,000 to repay their start-up loan, and continue the great work they do. As of 2018, the Society has reached enough profit to be able to offer share capital withdrawals to member investors. Their community-led approach was recognised at the Humber Renewables Awards 2017 where they won the Community project of the Year Award. In Grimsby, 50% of workers are on minimum wage and many suffer from deprivation and fuel poverty. Grimsby Community Energy believe that greater community involvement over local energy not only improves energy efficiency and carbon reduction, but helps those struggling to pay the high prices of energy as they currently exist. But they don’t stop at individuals struggling to pay energy bills, they also tackle the high energy prices faced by other community businesses, charitable organisations, schools and small businesses, by installing solar panels on their roofs. This is saving them thousands in energy bills and freeing up more money for vital services in the community. 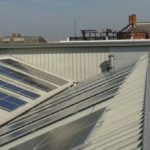 Grimsby Community Energy concentrates on the high energy prices faced by community organisations, and provides work experience for those who require access to employment, improving the lack of tangible connection between local people and the renewables industry in Grimsby. Grimsby Community Energy is controlled by its members and shareholders, which means local people have the opportunity get involved in future developments. But how did they get local people investing in their business? In 2015, they held a launch event with 20 attendees and conducted online and in person community consultations. They also attended various local networks to seek the views of other community organisations. They now have a total of 57 members who have invested a total of £115,300 in this community business.